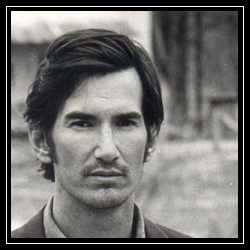 Like Guy Clark, Townes was a songwriter’s songwriter, a true poet. He was a little more commercially successful than Clark, though, blipping on the radar with his “Pancho and Lefty,” made famous by Willie Nelson. But most still don’t know who he is and why his music is magic. It’s fitting that I was at a Guy Clark concert when I overheard someone telling the person next to him how sadness was the easiest emotion for a songwriter to elicit. In the world of singer-songwriters this is apparently a motto of sorts. Any guy with a guitar can make you feel sad. There’s just something inherently sad about a guy up there all by himself with nothing but a guitar to protect him. There’s such vulnerability in it. The chance of a mistake, naked without accompaniment creates tension that can drive a quiet performance and bring a listener’s emotions into a more accessible space. And the most accessible emotion for the performer to reach is always sadness.